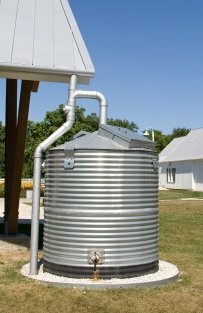 Rain Barrel World - Do You Collect Rain Water? Why should YOU collect rain water? Rain water is free of pollutants and chemicals that are often found in city water systems. Creating sustainable water supplies by collecting rain water is the way to a brighter future. We can all do our part by saving rain water at our home or business. So start collecting rainwater now! It's free, it's clean and you need lots of it! If you collect rainwater to recycle and reuse at your home or business, please share your stories and collecting rainwater tips here. Saving rain water is important to us all! How Do YOU Save Rain Water? Do you save rain water? Share what you do with us! We would love to hear your story of how you collect the water and recycle it too! Do you have a picture to show off? Great! Click the button and find it on your computer. Then select it.